I spent a weekend in Memphis exploring and curated a list of the best things to see and do. 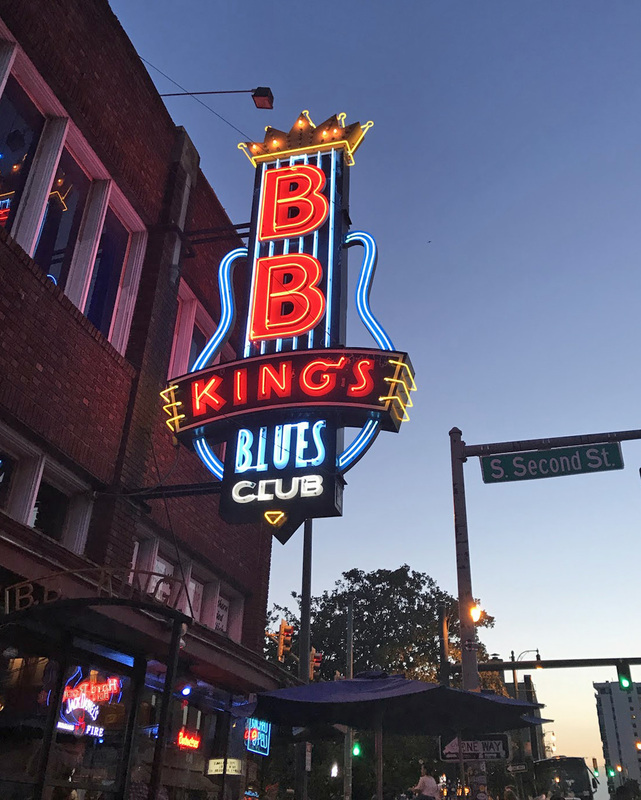 From rich history, to the birthplace of Rock n’ Roll to some of the best BBQ I’ve ever eaten, Memphis is a vibrant city and a perfect weekend getaway. We flew into Memphis on an early flight and hit the ground running. We originally planned on driving to Memphis from Chicago but life got in the way of the road trip. The timing of our flight worked out well, we landed before noon and we had a half a day to explore Memphis. We started with lunch and then a powerful tour of the Slave Haven Underground Railroad Museum. 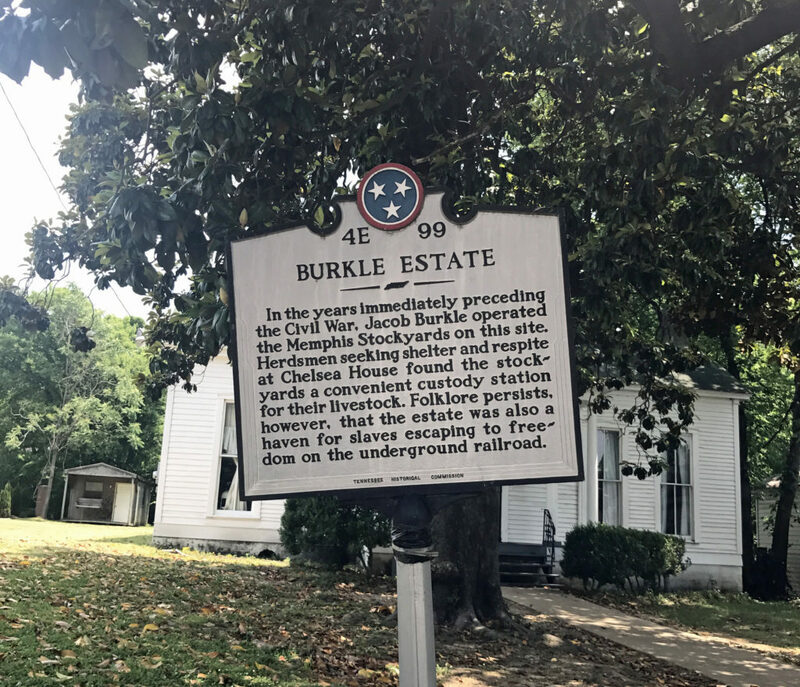 Jacob Burkle, a German immigrant helped escaping slaves by harboring them in his home and aiding them on their journey to freedom through the Underground Railroad. The Slave Haven Underground Railroad Museum guided tour provides an overview of the slave trade in the United States and then gives visitors get a first-hand look at the passages slaves took to the Underground Railroad. History is often difficult to remember. But we can learn from it, move forward and be better than our past. That’s what makes history so important. It’s about learning and growing. The Slave Haven Underground Railroad Museum reminded me of that. It also set the framework for out next stop, the Lorraine Hotel and the National Civil Rights Museum. 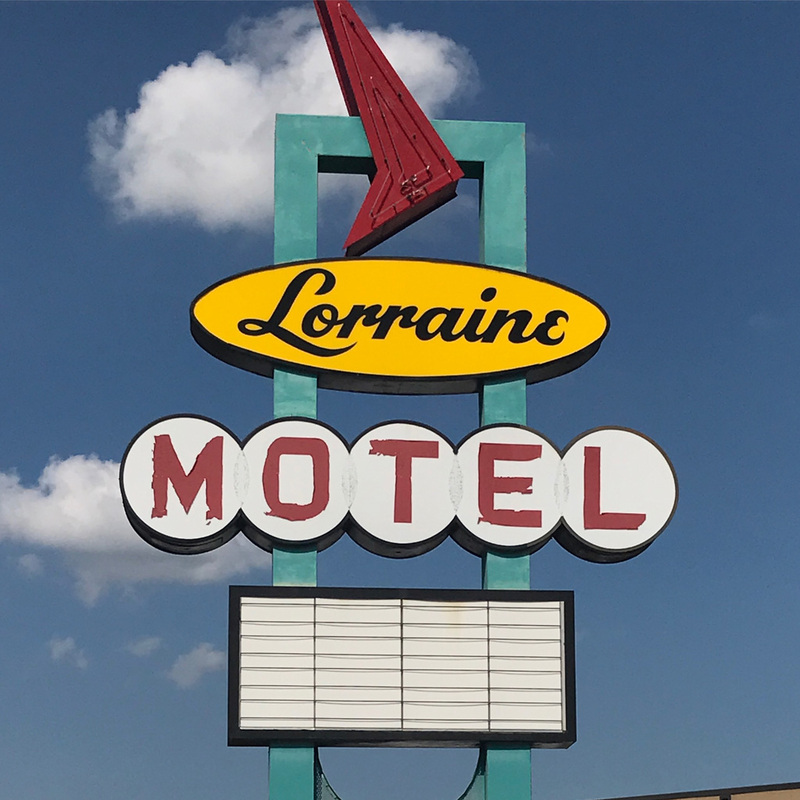 The National Civil Rights Museum at the Lorraine Hotel takes you through the history of civil rights from the beginning of the resistance during slavery, the Civil War, Reconstruction and the rise and fall of Jim Crow. It depicts the events that inspired people around the world to stand up for equality. The impressive museum offers 260 artifacts, more than 40 new films, oral histories, interactive media and external listening posts that guide visitors through five centuries of history. 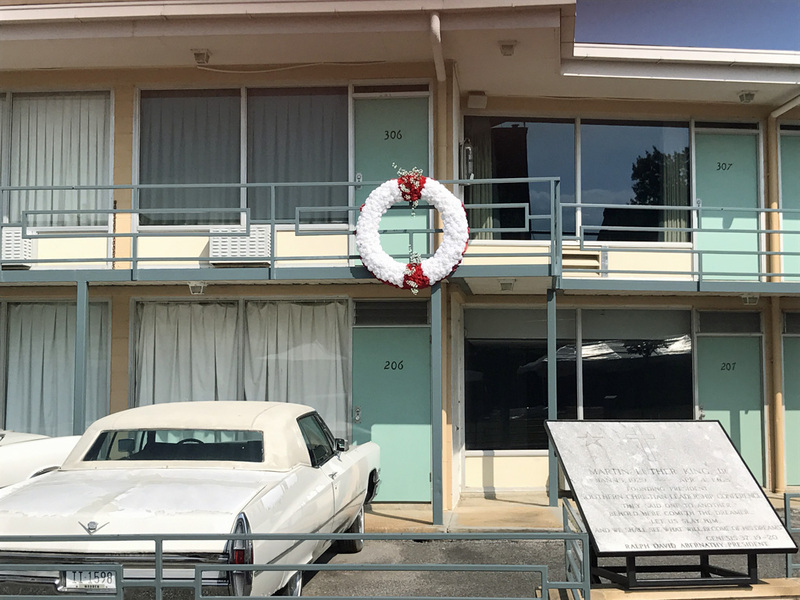 In your final steps of the museum, you are able to view the hotel room where Martin Luther King Jr. spent his final moments. It is an emotionally powerful journey through civil rights history in the US. I highly recommend starting your visit in Memphis with these two historical attractions. The Slave Haven Underground Railroad Museum tours take about 1.5 hours and the National Civil Rights Museum takes anywhere from 1-4 hours depending on how much you spend at each exhibit. Both museums can be toured in 4 hours. The Peabody Hotel is most notably known for its luxury accommodations and the ducks that march twice daily (11 a.m. and 5 p.m.) to visit the hotel’s lobby fountain. When the ducks are not visiting the lobby they live in their Royal Duck Palace on the hotel’s rooftop. The Peabody also opens up its rooftop on Thursday nights to visitors. 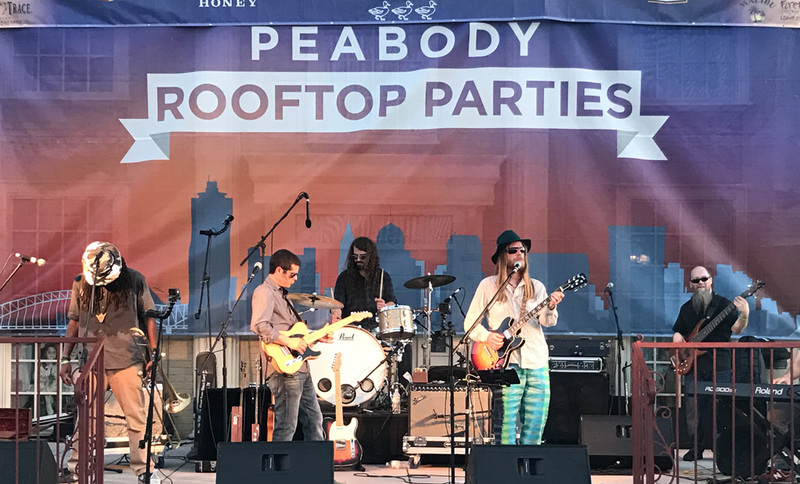 Attending a Peabody Rooftop Party is a fun way to see the sky-high views of the sun setting over the Mississippi River while listening to music, and sipping a cool drink. After sunset at the Peabody, we headed to Beale Street to hear more live music. We through caution to the wind and hit a few places that caught our ear’s attention. I recommend taking a walk down famous Beale Street, ordering a beer and soaking up the music. Thrillist has a good list of best and worst places if you want a more specific plan. Our second day in Memphis was all about the music. We started our day at the famous Sun Studios. 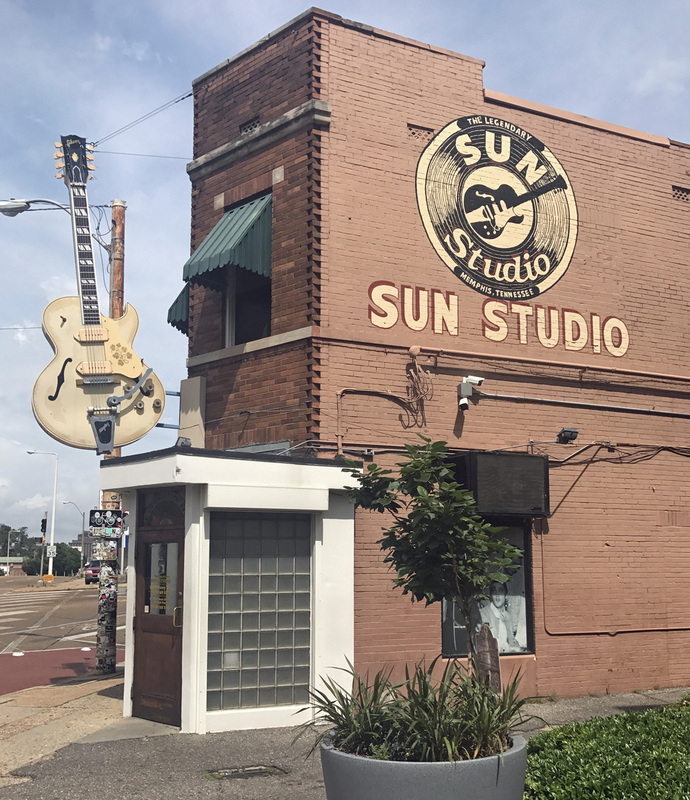 Opened by music pioneer Sam Phillips in 1950, Sun Studios put Rock n’ Roll on the map by recording the first Rock n’ Roll single, “Rocket 88” by Jackie Brenston and his Delta Cats in 1951. The famous studio has recorded Blues and R&B artists like Little Milton, B.B. King and James Cotton. 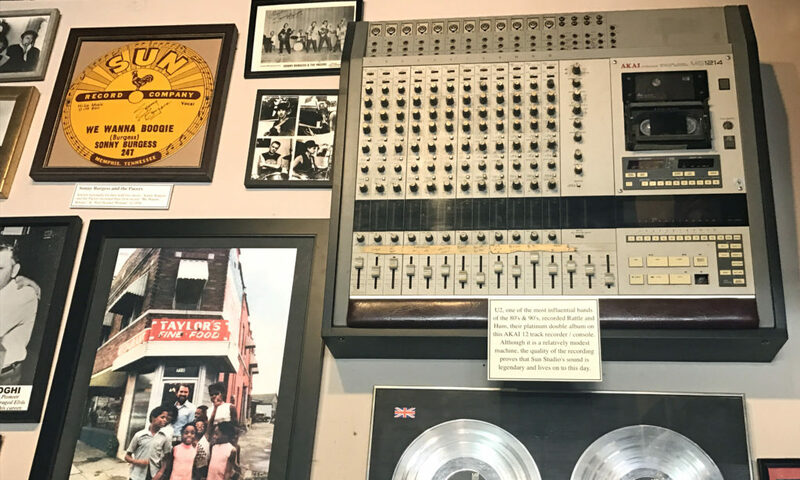 It has also recorded Rock n’ Roll and Country music stars including Johnny Cash, Elvis Presley, Carl Perkins, Roy Orbison, and Jerry Lee Lewis. Many other famous musicians have recorded at Sun Studios. U2 cut three songs from their Rattle & Hum album and “She’s a Mystery to Me,” which Bono and the Edge wrote for Roy Orbison. The list of famous musicians who have recorded at Sun Studios is long. The tour is great and a must do in Memphis. Tour fill up quickly and there is often a wait. Being there early means you will quickly get in line for a tour. I recommend arriving for when the Studio opens. When it comes to guitars, Gibson is the brand that comes to my mind. While I’m not musically talented, I appreciate music and the craftsmanship of the instruments. 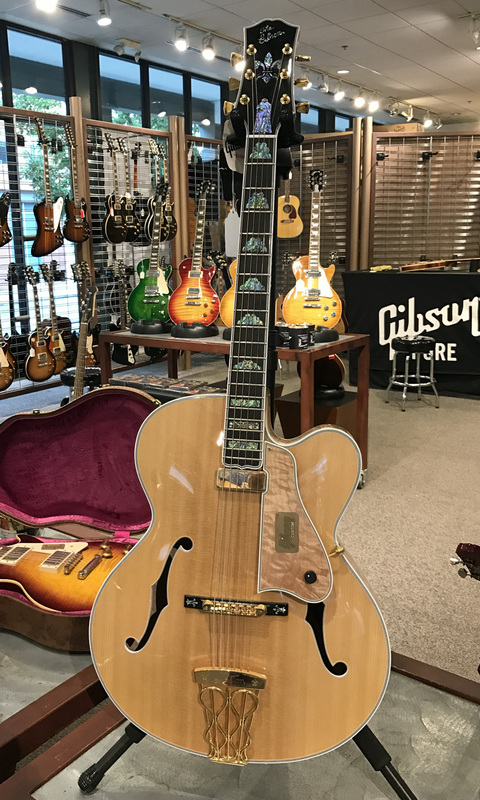 At the Gibson plant in Memphis, you get to learn about the intricate process of binding, neck-fitting, painting, buffing, and tuning all of the pieces that create these incredible musical instruments. If you want to see the factory while in production mode, visit before noon. Most of the workers are gone before 3 pm. This is a plant that makes instruments by hand out of wood. There are many saws thus a lot of saw dust. The last time I visited Graceland was in 1997. Back then there was a ticket counter where you paid for admission and were given instructions on how to get the home. All that has changed and now Graceland is an entire experience. 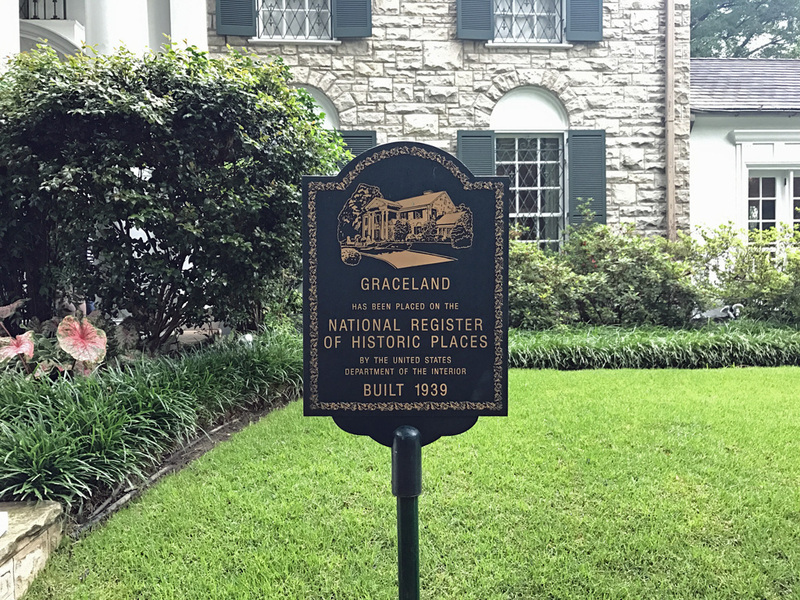 Graceland has an entire complex that features the entertainer’s career, his plane and automobile collections along with several other exhibits. 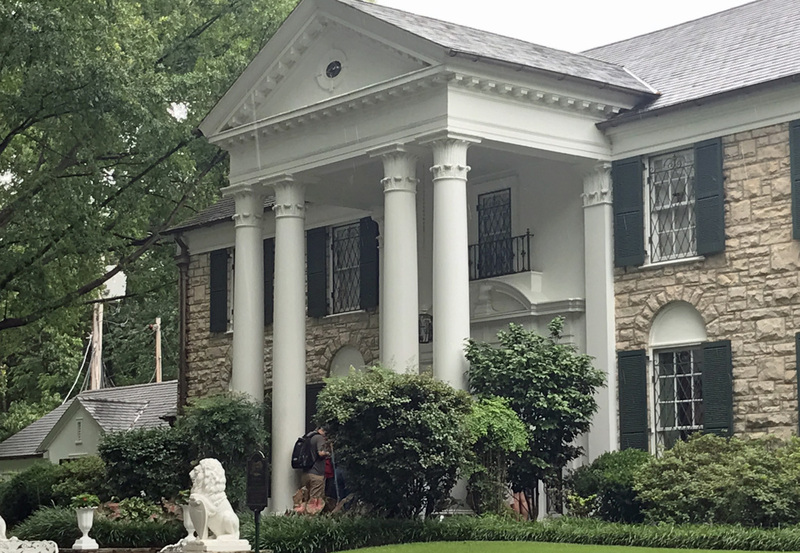 The home of Elvis Presley still remains the main attraction. 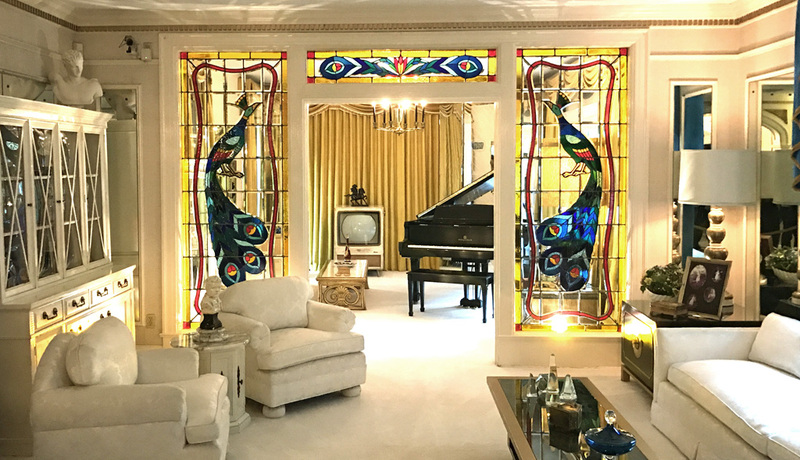 The tour includes the living room, his parents’ bedroom, the kitchen, TV room, pool room, the famous Jungle Room, his father’s office, the newly-enhanced Trophy Building, the Racquetball Building – newly-restored to how it looked in 1977, and Meditation Garden. Tours fill up fast and so do the lines. If you don’t like waiting around then I suggest taking the first tour of the day. The visitors center open at 8:30 and tours start at 9. I also suggest buying tickets online to guarantee your tour time. If you want a photo of the gates of Graceland arrive before 9 am to take your photo. Give yourself enough time, especially if you pay for the upgrade which includes all of the exhibits mentioned in this post. It takes awhile to make your way through it all. We spent about 3.5 hours at Graceland (soup to nuts). And it was well worth it. 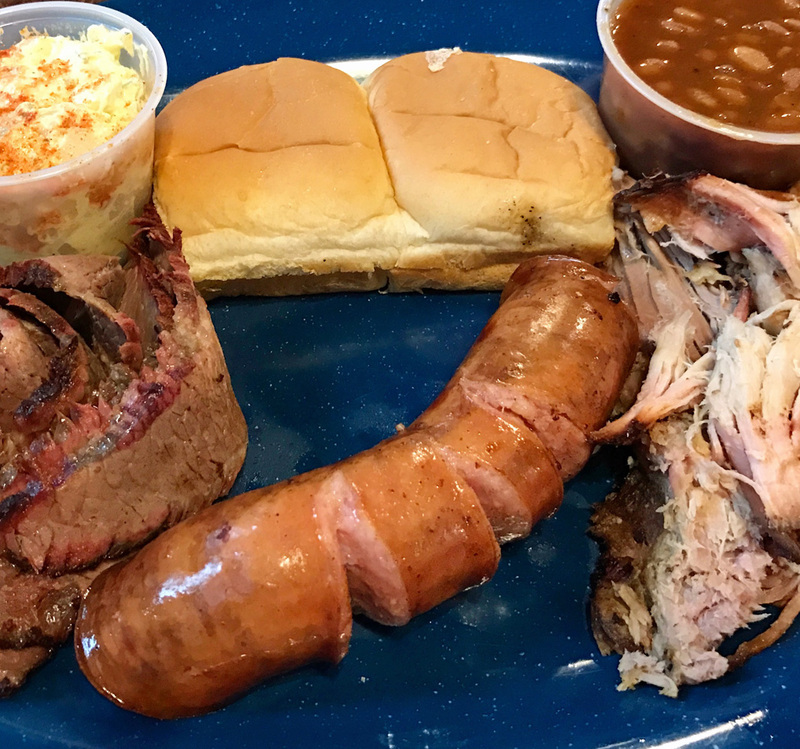 We attended the World Championship Barbecue Cooking Competition (more on that tomorrow) and we also ate a lot – A LOT of BBQ (more on Memphis food next week). Memphis has its own BBQ style. 4. It’s really darn tasty. My weekend in Memphis was awesome. Check back tomorrow for more on the World Championship Barqeuq Cooking Competition and next week Tuesday as I take you through everything I ate, drank and recommend you taste while in Memphis. My stay in Memphis was partially sponsored by the Memphis Travel, all of my opinions are my own.